Branch Executive Committee - Welcome to the Arlington, TX NAACP! Jason Thomas serves as the Chair of ACT-SO. The primary goal of ACT-SO is to prepare, recognize and reward youth of African descent who exemplify scholastic and artistic excellence. Jason is currently a Capital Projects Manager with Trinity Industries. Jason has a B.S. in Mechanical Engineering from the University of Alabama at Birmingham, and an MBA from Goizuetta Business School at Emory University. Jason Thomas serves as the Assistant Treasurer and chairman of the Fundraising Committee. He is a member of Concord Church and a member of Omega Psi Phi Fraternity. 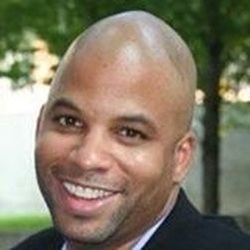 Kelvin McHenry is the Chair for the Armed Services and Veterans Affairs Committee for whom's responsibility it is to seek to establish a working relationship with those agencies in national, state and local government, having the responsibility in the affairs of members of the various Armed Services and Veterans. Kelvin McHenry is an aircraft production supervisor for American Airlines, where has worked for the past 23 years. As well, Kelvin serves as a Command Sergeant Major for the Army National Guard where he has served for 31 years. Kelvin has two combat tours of duty: Afghanistan and Iraq. Kelvin earned a Bachelor and Master Degrees from Embry Riddle Aeronautical University. He also a graduate of the pristine Army Sergeants Major Academy. Kelvin has been a member of several community organizations. He served as the PTO, Parent Teacher Organization President for two years, Serves as team member of a Site based Decision Making Team for an Elementary School. As well, Kelvin is a precinct chair for his community and regularly serves as an election judge for local elections. 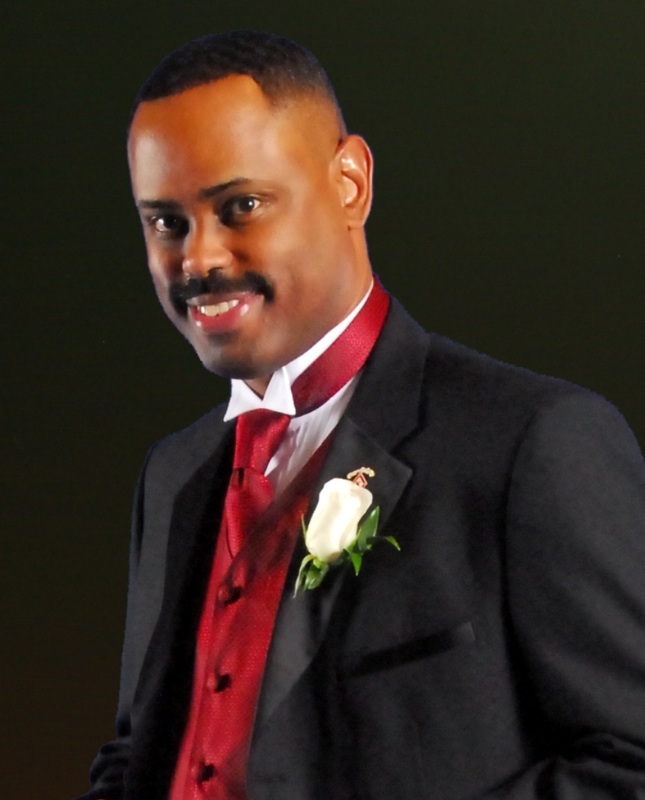 Lastly, he serves on the Audio Visual Committee of his church, Mount Olive Baptist Church. He is currently the CEO of M. Anthony Golson and Associates and a retired Assistant Special Agent in Charge for the Bureau of Alcohol Tobacco and Firearms (ATF). Michael has an extensive background in the investigation of complex criminal organizations, critical incident management, violent crime investigation, bombing and large scale arson investigations. He is involved in various service organizations. Mike is an active member of Antioch Fellowship Missionary Baptist Church and a member of Omega Psi Phi Fraternity. Barbara has worked in the health information management (HIM) profession since 1969. She holds B.S. and M.S. degrees from University of the Incarnate Word (UIW) in San Antonio, TX. She earned her PhD at Texas Woman’s University. Currently, she serves as chair of the Health Information Technology department for DeVry University – Dallas, TX campus. She is also president of Medpro Consulting Services and has held many leadership positions in various health professional and civic organizations. After volunteering at the district and state levels, she was elected to the national Board of directors for the American Health Information Management Association (AHIMA) and served as president in 2002. Dr. Odom-Wesley is a published author and sought-after speaker. She is an active member of Covenant Church Colleyville and founding, charter member of the Arlington Graduate chapter of Alpha Kappa Alpha Sorority. Andrea Kelly is the Legal Redress Co-Chair for whom's responsibility it is to assist Douglas Green in Investigating all cases reported to it and supervise all litigation in which the Unit is interested her and the committee. Andrea W. Kelly is a seasoned practitioner who has worked extensively in the public and private sectors. She was admitted to the State Bar of Texas and is also licensed to practice in federal court. Ms. Kelly graduated with honors from the University of Texas at Austin with a Bachelor of Journalism, and earned a Juris Doctor from Cornell University School of Law in Ithaca, New York. She served as an Asst. District Attorney for Tarrant County and an Asst. Chief Counsel for the U.S. Department of Homeland Security (formerly INS). She later managed the nation-wide Immigration Department of a mid-size firm and thereafter opened her private practice. Andrea attends Cornerstone Baptist Church is a member of Alpha Kappa Alpha Sorority. Dr. Carolyn Williamson is the Co-Chair of the Membership Committee where she works throughout the year to maintain and increase the membership of the Association and is responsible for planning and organizing the annual membership campaign. 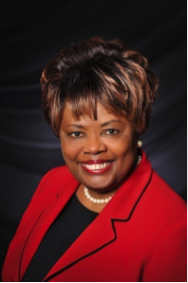 She is an elected Texas Silver Haired Legislator, representing Tarrant County; City Council appointed member of the Grand Prairie Commission on Aging (Chairperson); Nomination Chairperson of the Tarrant County Agency on Aging Advisory Council; a member of Altrusa International, Inc., Southeast Tarrant County Early Risers; and a member of Delta Sigma Theta Sorority. Dr. Williamson is a published author and in the process of finishing her second book. She worships at the Potter’s House. Terry Gaston is the Co-Chair of the Membership Committee along with Dr. Carolyn Williamson where she works throughout the year to maintain and increase the membership of the Association and is responsible for planning and organizing the annual membership campaign. Terri works at Baylor Surgical Hospital in Fort Worth as a Registered Pharmacist. She is also a dedicated member of Delta Sigma Theta Sorority Inc.
Terri is an active member of St. John Church in Grand Prairie. Deborah Spell serves as the Chair of the Political Action Committee for whom's responsibility it is to increase voter participation in the electoral process through education and registration. Deborah is a retired educator and American Airlines employee. Deborah Spell earned a B.S. in Education from the University of Cincinnati where she became a member of Delta Sigma Theta Sorority. She is a Precinct Chair, Deputy Registrar and an Election Judge. Deborah is a member of the Tarrant County and Texas Democratic Party and the 360 Corridor Democratic Action Club. She volunteers with the USA Home Team, collecting and packing items to be shipped to soldiers in Afghanistan. She is an active member of Friendship West Baptist Church in Dallas. ﻿﻿﻿Tia Cole is the Education Committee Chair whose role is to seek to eliminate segregation and other discriminatory practices in public education, study local educational conditions affecting minority groups, Investigate the public school system and school zoning and familiarize itself with textbook material there from which is racially derogatory consistent with fundamental NAACP goals. 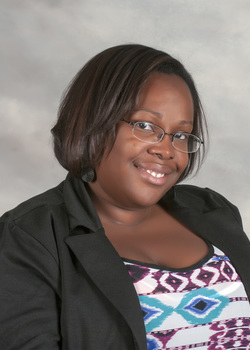 Tia Cole is a full-time Instructor and Bridge Program Coordinator at Tarrant County College-Northwest Campus where she works to empower students and other instructors to find success through education and resources. She works as Discipline leader on her team. She has facilitated several trainings and presented at conferences. And, she serves as chair of the campus Diversity & Inclusion Council. She is a graduate of the University of Nebraska-Lincoln where she obtained a Bachelor's degree in Secondary Education and English and the University of Nebraska-Omaha where she completed a Master's in English. Tia moved to Texas just under 3 years ago, and she came in running. She is a member of Bridge Fort Worth, she is in the 2016 Leading Edge Class through Leadership Fort Worth, and she is a graduate of the 2015 class of the Fort Worth Metropolitan Black Chamber of Commerce’s Paths Forward Program. Tia is passionate about educational equity and reform, and she is unafraid of rocking the boat to effect positive change in the lives of people of color. She is committed to service and every opportunity to uplift and edify her community. Duane L. Braxton is a Human Resources Specialist with the Department of the Army. Duane earned a BBA in Business Administration from the Virginia State University. Duane is Life Member of Blacks In Government (BIG), having served in many leadership roles in that organization including Regional Director on the National Board of Directors, Regional Council President, Region VI, and Chapter President of the North Texas Chapter. He is a member of One Community Church in Plano and a member of Kappa Alpha Psi Fraternity. Billy Wilson has served as a professional educator for over 25 years, 18 yrs. in Arlington ISD. His roles have varied from coaching and teaching to administration. He has served as Youth Works coordinator for 10 years and Youth Council Advisor for two years. He also served as president of the Arlington branch of the National Association of Black School Educators for four years. He supports various youth groups such as ACT-SO and the District Cultural Awareness Committee which seek to enhance cultural identity and empowerment. Billy is a member of Mount Olive Baptist Church and Alpha Phi Alpha Fraternity. 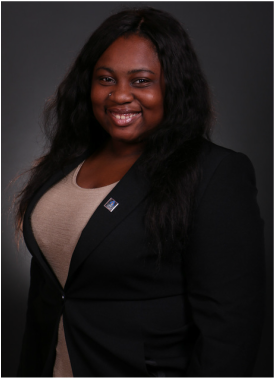 Shunkecia Lewis is the Chair of the Communications/ Press & Publicity Committee where she works increase the awareness of the Association to the community. She is also responsible for managing and monitoring the branch's social media channels. She works at DexYP as a Business Automation Specialist / Integrated Media Producer helping small and medium sized businesses Thryv (thrive) using the app created by the company. She current assists with coordinating and fulfilling digital products for businesses around the county. She is also a current volunteer for Dallas Life Homeless Shelter, Girls Inc., Mothers Against Police Brutality (MAPB), and the Sandbranch Community. She also creates opportunities that benefit misplaced women and children within the DFW communities. She is a member of the National Association of Colored Women's Clubs, Kappa Tau Alpha National Honor Society, Phi Theta Kappa Honor Society, and a national steering committee member of the National Congress on Faith and Social Justice. She worships at Marsalis Avenue Missionary Baptist Church in Dallas, TX, and has served as an usher for 17 years.